Starting and finishing in the alpine resort of Queenstown, this 15 day tour explores the best of the South Island, going as far north as the remarkable Pancake Rocks at Punakaiki. 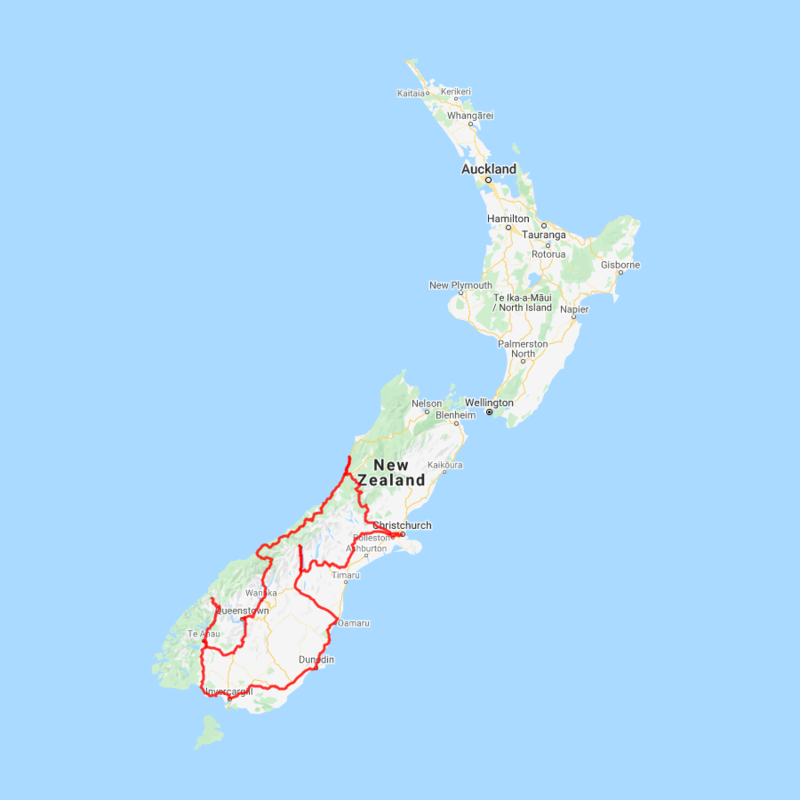 Included are two of the most scenic road trips in the world, the Milford and West Coast Roads as well as activities that will take you to breath-taking locations. Have your camera at the ready! Cruise in style in a 1937 convertible soft-top Chevrolet bus, taking in spectacular mountain and lake vistas. You will visit historic areas in Queenstown and Arrowtown and sample some of the local cuisine, while also getting the chance to view the personal galleries of some amazing local artists. Travelling with the unique, convertible top down you can enjoy an open-air view of the magnificent surroundings and alluring beauty of the region. Rich and golden, moody and blue or full of sunshine and glory, bright and crisp with snowy peaks, each day and season offers a fresh new scene. You have the opportunity to view fine art, carefully crafted and created by renowned artists of New Zealand in their personal galleries. Paintings of various styles and beautifully crafted wood sculptures are among the mediums. The complete circuit takes you from Queenstown to the picturesque gold-mining town of Arrowtown. Travelling on to the final stop you will taste wines grown from grapes onsite and indulge in mouth-watering cuisine in the cosy gallery or al fresco. Wander around delightful grounds of terraced gardens and ponds over-looking the beautiful Lake Hayes. The journey winds back to Queenstown over the gold filled Shotover River, through pastures and around the mighty sleeping giant, Lake Wakatipu. The 1937 Chevrolet bus arrived in New Zealand in 1942 and was in service for three decades. This was originally one of six buses operated by Routeburn Valley Motors, transporting passengers from Kinloch, at the head of Lake Wakatipu, to the Routeburn track. This small group wine tour (maximum 8) offers a relaxed and personal introduction to the wines and scenery of the Central Otago region. This tour is a great way to explore award-winning vineyards hidden amongst the rugged landscape of Central Otago. Visit and enjoy tastings at 4 Central Otago vineyards including a gourmet canape matched tasting. You'll also discover the history of the region with a visit to Old Cromwell Town, a charming heritage precinct that has been revitalised into a boutique arts and crafts village. Edgewater is Wanaka's leading hotel located right on the edge of Lake Wanaka. A short stroll to the town centres shops, cafes and restaurants and close to many walking trails the resort is ideal to explore this wonderful Alpine setting. 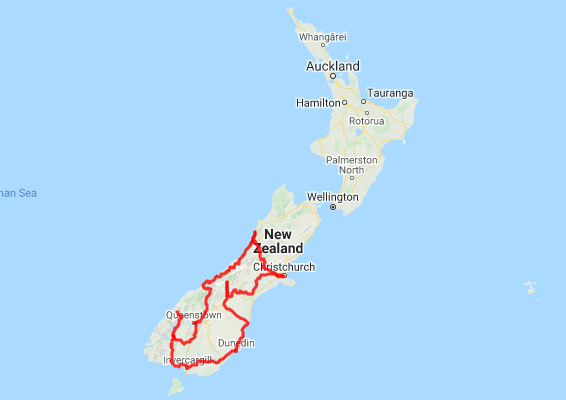 You have plenty of time to explore Punakaiki this morning and to enjoy the scenic drive back along the coast to Greymouth to catch the Tranz Alpine Scenic Train to Christchurch. Just south of the town of Greymouth is Shantytown a replica gold rush town with lots of great displays from yesteryear and a great place to spend a few hours. Drop your rental car at the Greymouth Train Station depot located inside the train station building before checking in for your train journey at 1:15pm. This luxury hotel is centrally located in the revitalised Cathedral Square in the heart of the city, a short stroll from the Avon River, Botanical Gardens, Christchurch Casino, Cashel Mall and new Christchurch Convention Centre. The Edmund Hillary Alpine Centre pays tribute to one of New Zealand's greatest characters - humanitarian, ambassador and one of the world's greatest explorers. Showcasing the Aoraki Mount Cook region and its people within a comprehensive museum as well as a 126-seat custom-designed theatre and Digital Dome Planetarium. this informative experience is one to remember. The Hermitage Hotel ringed by magnificent snow-capped peaks of the Southern Alps, is a world-renowned tourist destination and has been an icon of superior accommodation and dining since 1884. Room type - Wakefield Wing Superior room facing Aoraki/Mt. Cook. Go through classic Southland farming scenery as you make your way to Te-Anau. Follow the coastline instead of the inland route for a more scenic drive. Pass the The Catlins area and be sure to take a detour to Kaka Point for a spectacular view of majestic cliffs and pounding surf. Bypass Invercargill en-route to Riverton and Colac Bay, then head north to Manapouri. From here you can embark on a day or overnight cruise to the remote Doubtful Sound - renowned for its natural beauty. Just a short way further will bring you to your lakeside destination of Te Anau, gateway to Fiordland National Park and Milford Sound. Today, see some of the most beautiful and iconic scenery in the country when you take the road to Milford Sound. With crystal clear lakes, towering mountains and lush glacier formed meadows, this area is abundant with picture perfect scenes and countless photo opportunities. Take the Chasm Walk, a short stroll through native beech forest to see several powerful waterfalls. Continue on through the Homer Tunnel, an engineering marvel at 1219 metres long. Arriving into the village of Milford, you will be greeted with an amazing view of Mitre Peak. A day cruise into the heart of the sound with Real Journeys is not to be missed. You’ll learn about how this magnificent area was formed and experience the wonder of the falls that line the Fiord. Today make your way to Queenstown across vast tussocklands. Head through Mossburn, the deer capital of the nation then continue on through rolling southland countryside. Soon the road skirts the lake edge and the Remarkables mountain range makes for an impressive welcome to Queenstown, the adventure capital of New Zealand.